Each case contains (6) 6 ounce cans of Freeze Dried Strawberries. When re-hydrated with water the product will maintain the texture and shape of fresh product, with no shrinking or shriveling.Freeze Dried and Dehydrated products are less expensive than wet pack food because you are not paying for all the water. Freeze Dried Strawberries can replace Fresh Prepared Strawberries at a rate of 10 to 1. 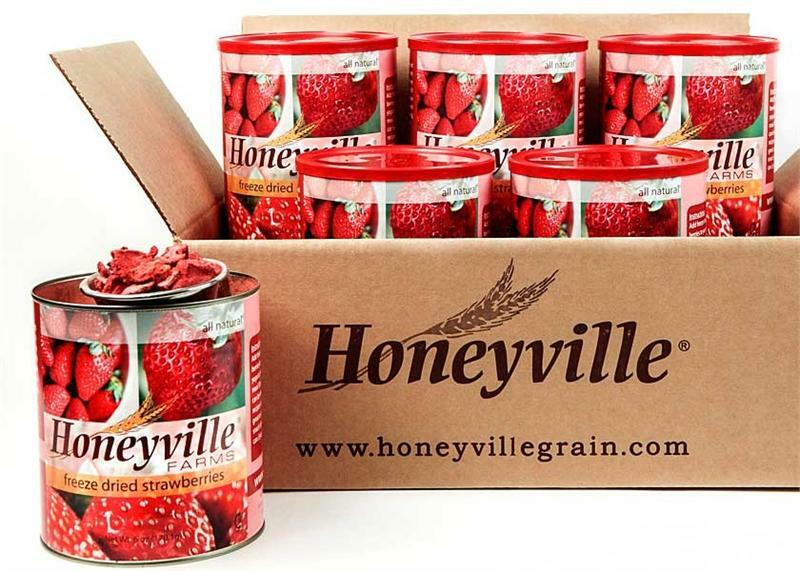 That means that each can of Honeyville's Freeze Dried Strawberry is the equivalent of about 3.75 pounds of Fresh Strawberry.